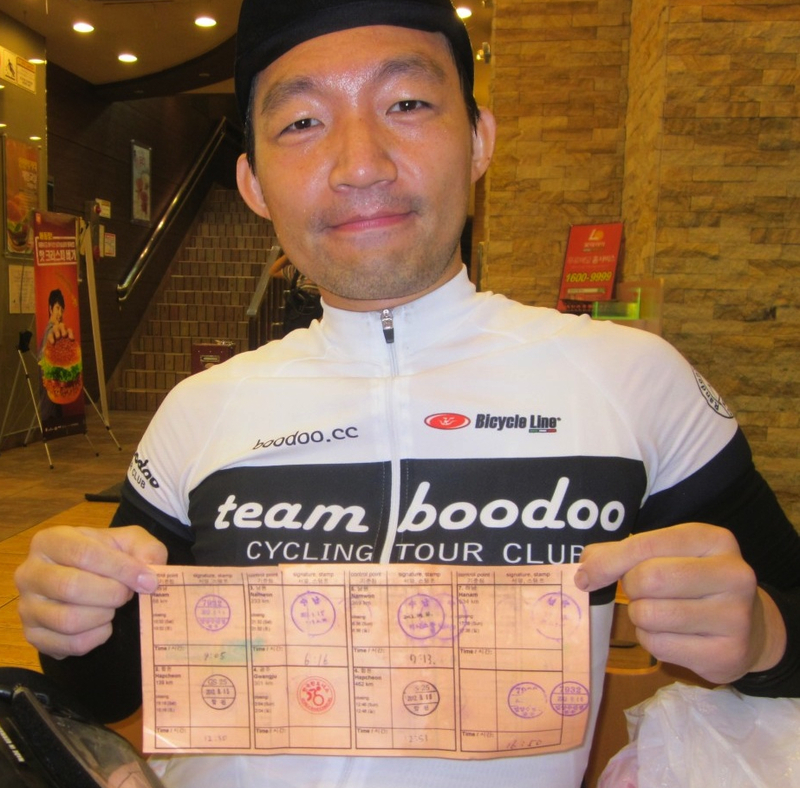 Despite a fast approaching Typhoon, a few hardy Korea Randonneurs decided to defy mother nature and ride the 600K Brevets (GBG and BGB) on September 15. Six riders started from Gwangju and three from Busan. At the start riders in Busan faced heavy rain but as the day progressed the skies cleared. As night approached the flood gates opened and heavy downpour challenged Randonneurs. 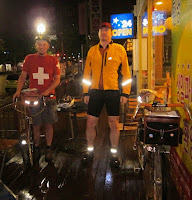 Goon Koch (R in the picture with our very own Russell Morris), an American visiting Korea, who had started in Gwangju, was the first to arrive at the half way point in Busan. After another night of pouring rain and several crashes 5 riders finished this epic 600K Brevet within the 40 hour time limit. Four of the riders were our friends from TEAM BOODOO. infamous 2012 Cheonan fleche team), Hong Ki-pyo, Gwak Dong-won, Goon Koch.